Tapping into your customer’s emotions is one of the best possible ways to reach their wallets. That may sound a little unpleasant to your customer but, it’s true. 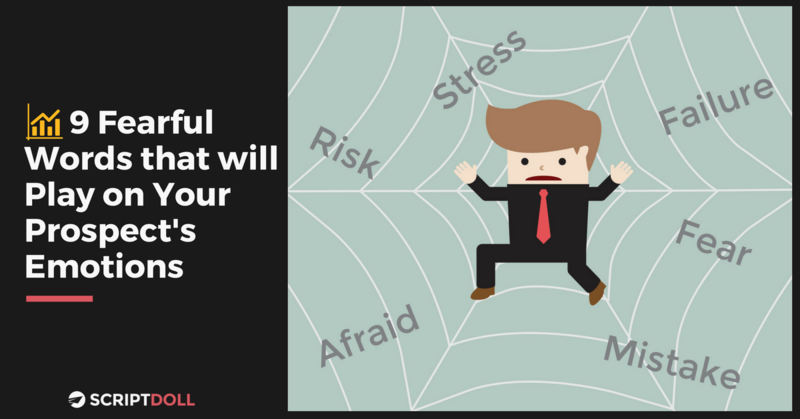 Fear is one of our basic emotions that gets our blood pumping. For that reason, marketers play into fear as a motivator all the time. Once you invoke a fear, you can then show your customer how your product or service is the solution. Think of any product being sold and consider its marketing campaign. From insurance to cars, a little bit of fear can be injected into the sales message. Though, it’s often done in a subtle way. Take this print ad from Mercedes-Benz as an example. It’s a luxury car company, but it uses fear in this ad campaign when talking about getting your car worked on. The tagline, “Unofficial service can be dangerous,” with a shadow of a dinosaur behind the wrench gets the point across nicely. And, the word dangerous evokes an emotion of fear of what could go wrong if the customer doesn’t use an official Mercedes-Benz mechanic. Check out another example by Bayer Cropscience Trimax, an insecticide company. Its tagline, “You’re Not The Only One Who Can Suffer From Stress,” with a picture of a cotton ball, is a clever way to connect to an emotion its audience may have. A farmer wants his crops to thrive. So, in this case, playing into the fear of a bad crop makes for good sales copy. Bringing up the reasons your customer should want to buy your product or service should be front and center in your sales copy. And, using words that bring up fearful emotions can help you make your point. Sitting down and actually weaving fearful words into your sales copy, however, isn’t as easy as it’s made out to bet. How would you feel if I told you there’s no need to stress yourself out over it? That you don’t need to make the mistake of guessing how to write sales copy that converts? Pretty great, right? And, that’s because ScriptDoll can do the writing for you! Yes, you read that right. In a matter of minutes, you can have sales copy that works in your favor, getting you the conversions you’ve been dreaming of. All it takes is answering a few questions about your product or service, and who you’re wanting to target in your sales message. And, for only $1, you can try it today. Now that sounds like a risk worth taking! Click the banner below to get started.